This reworking of the “Ultimate Blog Planner” contains 15 PDFs to help you organise your Blogging schedule, post title ideas and post content. 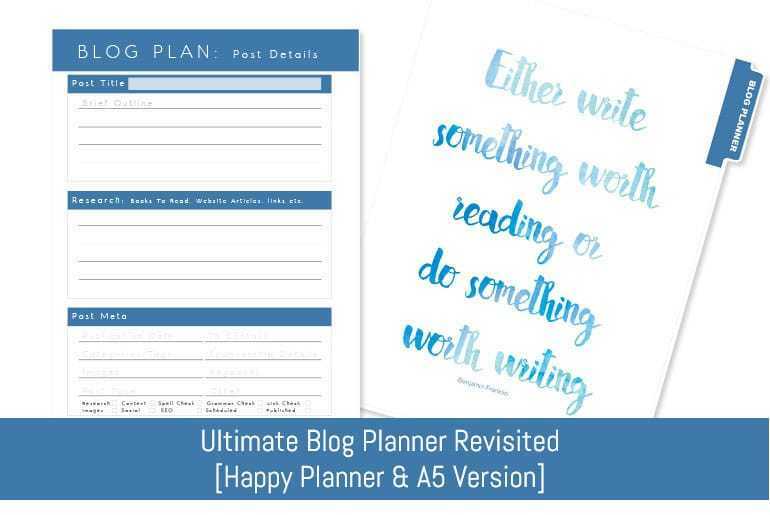 Formatted for Happy Planners, the pages can also be printed for A5 planners as well – full printing instructions are included in the “-readme.txt” file. The pages are formatted for printing on right and left pages.